The Lord initiated His Recovery among us in the Far East, brought His Recovery to the United States for growth, and now is in the stage of initiation in Europe. For His consummate move on earth, Europe, in its geographical location, in its people, in its culture in history, and in its capacity in ability, is crucial to the present situation of the world. 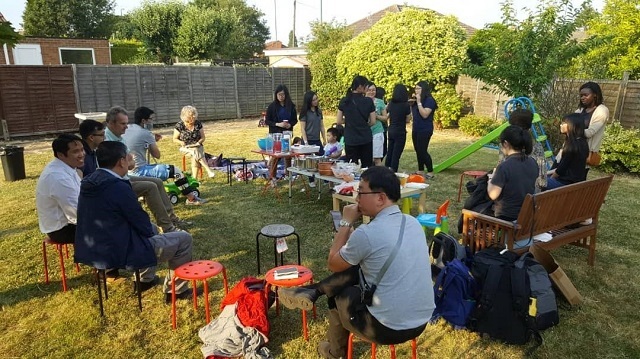 From the 1st to the 24th of July 2018, a group of 38 saints including 29 trainees visited Europe to contact the churches and the migrated saints, and learnt about the history of the Lord’s move in various parts of Europe. 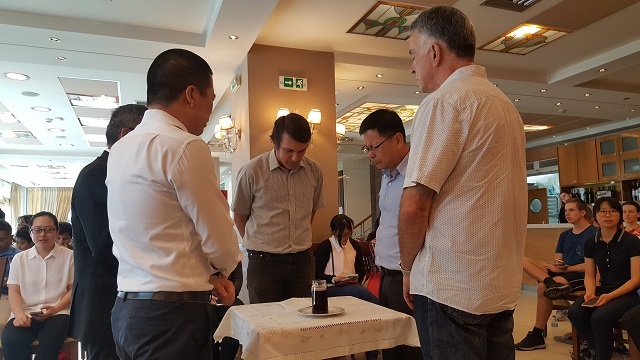 It was remarkable for the trainees to be able to set foot there to realise the Lord’s move subjectively and also to consider their portion before the Lord. The visit covered three sectors: the United Kingdom (UK), continental Europe and Greece. London as the capital of United Kingdom is a major beachhead for the Lord’s move not only in the UK but also for entire Europe. It is the place where the two years full-time training centre (FTTL) is located. We stayed in Bower House and Horseshoe Farm, the latter being a newly renovated accommodation. As many of us walked around Bower House for the first time, we were full of worship toward the Lord and were deeply amazed by how the Lord had used this facility for His move throughout Europe. 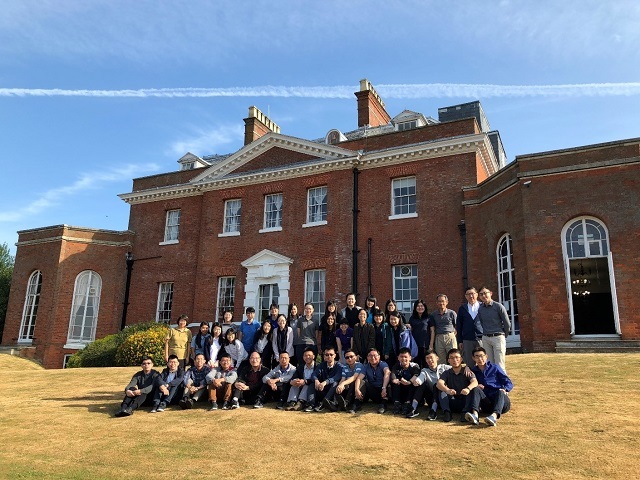 The full-time training in London has definitely played an important role in training and perfecting the young people in Europe that they can be for the spreading of the Lord’s recovery in this continent. Moreover, this facility serves as a station for the distribution of publications that the ministry could reach various places in Europe. In line with the increasing need, there has been much ongoing construction work to provide more accommodation to receive saints for short-term perfecting. We had the opportunity to witness the progress of the renovation work in Woodland Camp and hear about the upcoming expansion plans to have increased meeting space in Bower House. It was encouraging to hear that some brothers also migrated to help specifically in the renovation work. 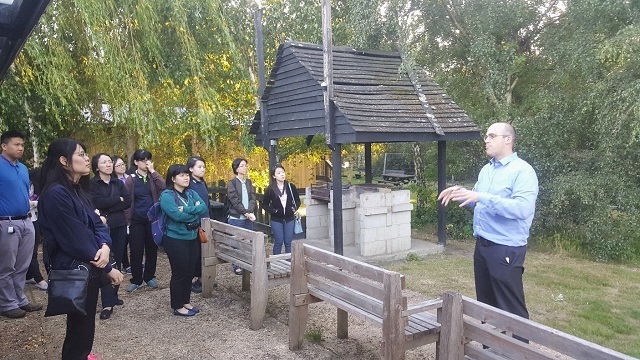 Trainees listening to a brother explaining about the renovation work in Woodland Camp. 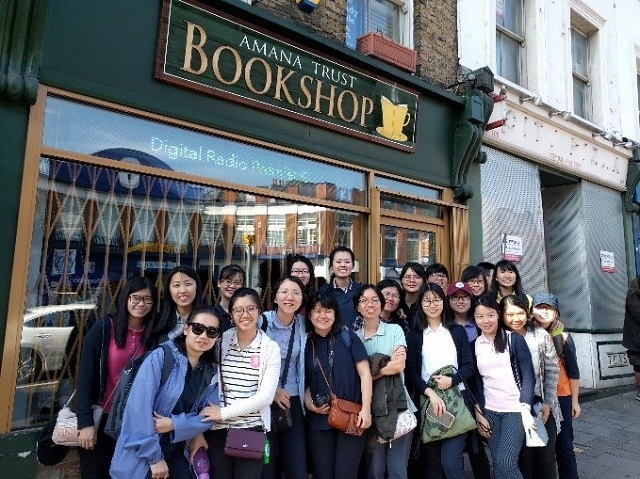 In the city of London, the Amana Trust Bookshop plays an important role to make the ministry reachable to the people of London. Many seeking ones were actually brought into the church life in a solid way by reading the ministry made available to them. In the bookstore, we also received a simple summary of the origin of the recovery version Bible and updates concerning the Bible distribution throughout the United Kingdom. It was so encouraging to receive the news first-hand and to see that the Lord is moving in the UK rapidly to meet the need of gaining and perfecting new ones throughout Europe. Definitely, it is through the faithful laboring of the saints here and also the petition of the Body that the Lord can move in such a marvellous way. After spending 3 days in London, we were divided into 2 groups for travelling. 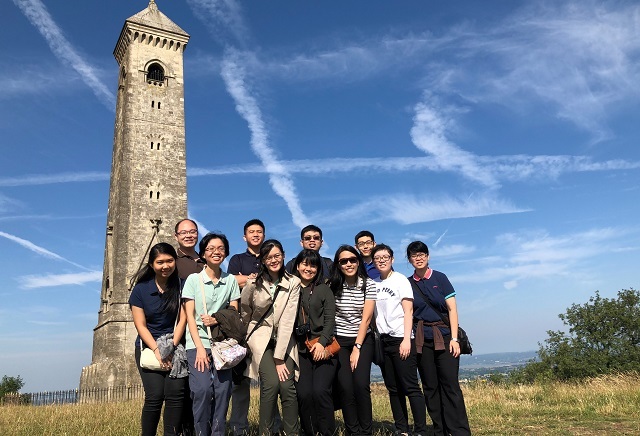 One subgroup consisted of 20 saints and firstly took a historical tour in Oxford and Bristol. Then, over the next 3 days, we met with the saints in Bristol, Cardiff and Birmingham before meeting up again with the rest of the team at Keswick and travelling up north to Glasgow. Two main attractions around Bristol which we visited were the Müller House and the William Tyndale Monument. The Müller House visit in Bristol enabled us to see how the Lord moved on earth through a man who prayed in faith to cooperate with Him. We were amazed by the scale of the orphanage he had without any help from any outsiders or organisations. He was such an absolute person who depended on the Lord completely. Everything he had was out of the Lord’s supply through his faith in prayer. He once said, “When sight ceases, it is the time for faith to work. The greater the difficulties, the easier it is for faith. As long as human possibilities for success remain, faith does not accomplish things as easily as when all natural prospects fail.” His faith to go on was not in outward matters, but absolutely in the Lord. Arriving at William Tyndale’s Monument, we revised his prayer when he was about to be killed due to his work of translating the Bible into his mother tongue (English): Lord, open the eyes of the kings of England. Echoing Tyndale’s prayer, we pray that the Lord would intensify His move throughout the whole Europe. Having all these faithful saints ahead of us and by standing on their shoulders, we know that now is the time for us to rise up to be commissioned by the Lord not only to continue what has been done by Him but also to consummate it. In Cardiff and Bristol, we met some families that migrated from New Zealand and Malaysia. They faithfully stood for the Lord’s testimony and became pillars of the church. They would open their house to shepherd and nourish the saints like nourishing mothers and exhorting fathers. In whatever they do, we sense that it is not merely outward. Inwardly, we see from the saints a pattern of loving the Lord and following the Lamb wherever He may go. We were warmly welcomed by the saints in Birmingham. We had a wonderful time with the saints through some mutual shepherding and interceding. It was encouraging to see a number of working saints who, despite of their busy schedule, are willing to come to meet with the saints to stand for the Lord’s testimony in Birmingham. 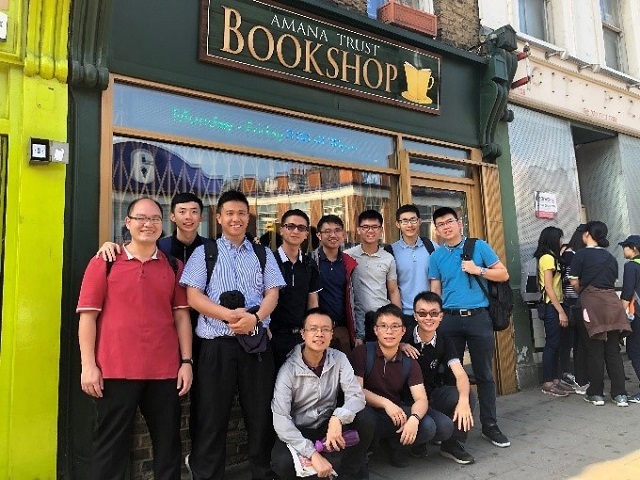 Our other subgroup of 18 saints, including trainees and some serving ones, went to Cambridge for a short historical tour. It is notable that this was where the Cambridge Seven came from. They were those who pioneered the China Inland Mission led by Hudson Taylor during the 19th century. We also saw traces of Martin Luther’s trail in St. Mary’s Cathedral and visited King’s College as well as the corpus clock. After that, we went to Nottingham, Leeds and Manchester where we had wonderful fellowship with the saints respectively. We then met up with the rest of the team in Keswick where we visited the Keswick Convention center before we travelled up north to Glasgow. 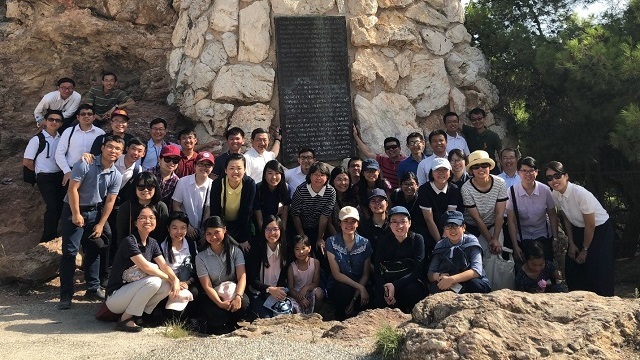 Passing through these localities, we witnessed small groups of saints who simply live the normal church life, remaining faithful to the Lord and to the ministry. Most of the saints migrated to these localities for work or studies, and some received the burden from the Lord to migrate there to serve full-time. Although the churches are small in numbers, the saints are actively participating in the church life, offering up their all to the saints and the church. We saw how even saints from Malaysia who lived in the UK were cherished by these ones as they passed through their campus and working life. Through our fellowship with the saints, we realise what captured them is the speaking of the ministry. A brother in Nottingham shared after reading the book The Normal Christian Life that he could no longer return to meet in the denomination. 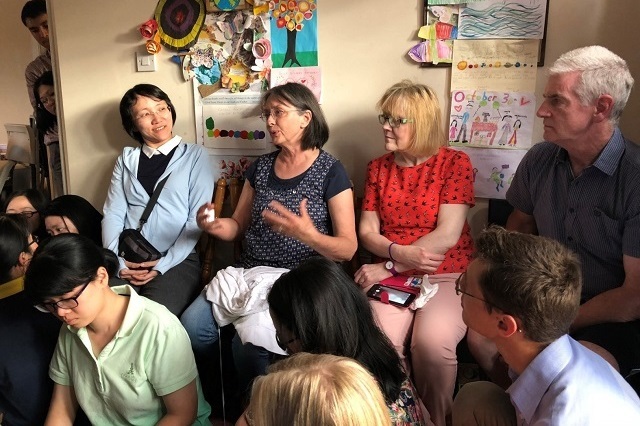 Another sister in Manchester also shared that one day as she stumbled across the radio broadcast, she received answer upon answer to her long-standing questions related to religion and Christianity, and was brought into the church life. Such testimonies show us that it is God Himself as the living Word who attracts, capture and subdue us, leads us to the saints and the church life, and keeps us in the oneness of the Body. 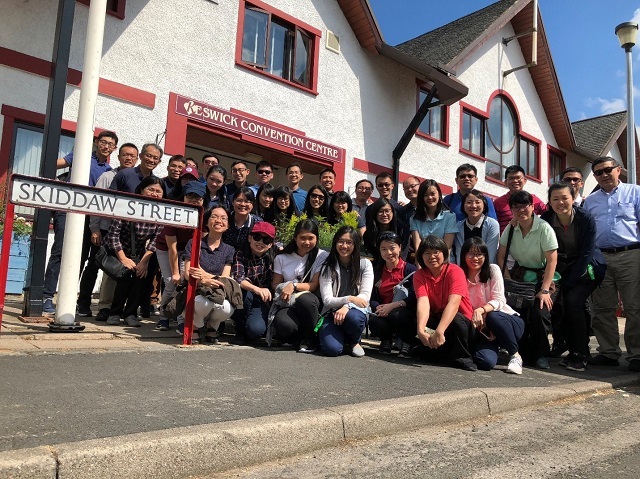 Although we could see much positive results from the saints’ labor, following Brother Watchman Nee’s pattern in prayer at the Keswick Convention Center, we pray not for the benefit of a locality or a country, but instead pray particularly for the Lord’s interests in these places. Ultimately, the glory is the Lord’s, and what a blessing that wherever we are, we can pray for the flow of His move! There are several families living the church life faithfully in Glasgow. Among them, some are students, some are migrated families and some are local saints. We arrived in Glasgow late afternoon, and the saints were already preparing dinner and waiting for us. The love feast was a wonderful time where we fellowshipped freely among one another. 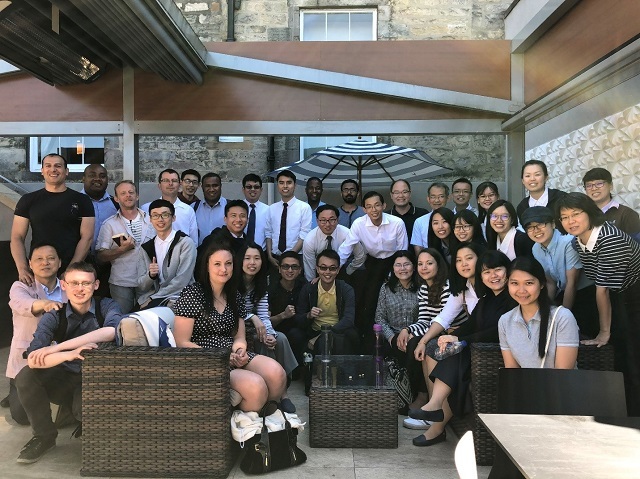 What impressed us throughout the mutual fellowship was that here in Glasgow, there is the spirit of migrating for the sake of the Lord’s move. Migration is something organic. It is not through men’s inciting or the outward excitement, but something that is of the Lord with a definite burden. There were some families who migrated to Glasgow and face some challenges at the initial stage of their moving. Yet, the Lord kept reminding them of their purpose in moving there. It was this that kept these families moving on faithfully. On the one hand, we see that to take this way for the Lord’s sake requires us to pay the greatest price. On the other hand, we can see that when there is the burden, vision, and clear leading from the Lord, we would be able to go on boldly in the Lord despite all the outward environments. The way the Lord works is intrinsic and organic. Hence, the spending of personal time to contact the Lord, to have fellowship with Him, and to remain open before Him is indeed indispensable. 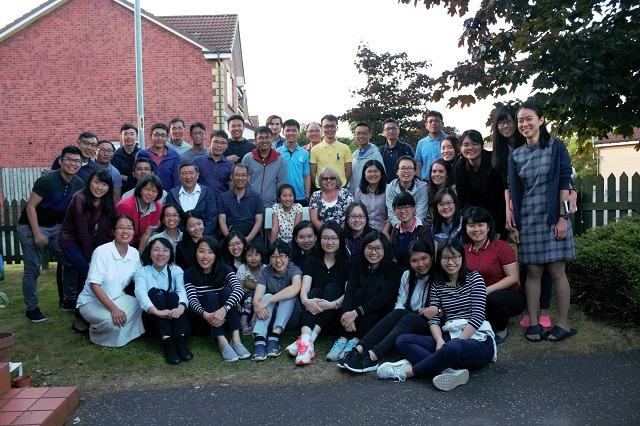 In Glasgow, we were given hospitality to be accommodated in the saints’ homes. It was really precious to be able to observe their living up-close. There were much opportunities for fellowship with the hosts as we lived together with them. We were shepherded by their living, their labouring and their taking care of practical things. The affairs in the church life are well taken care of to an extent that the saints were frequently saved from many outward things to touch the inward reality. This attitude of pressing on is really a pattern set by the Lord before us. We also had an opportunity to visit the meeting hall in Glasgow which was under renovation before our departure. The visit stirred us up to pray that the Lord can continue moving through all these dear ones that He may gain a strong testimony in Glasgow. A saint in Glasgow sharing after the love feast. In Edinburgh, the Lord kept some faithful ones to stand firm for His testimony. It is so precious to be with the saints to remember the Lord before His table. There are some families and young working saints bearing the responsibility in the church in the coordinated way. It was encouraging to see a young working couple travel from Dundee once a week to support and to bear certain responsibilities in the church. In order to have a church life that can crush Satan under our feet, the Lord needs some who can sacrifice, not to do a great work, but to pour out their everything in a silent way. This is what we can see from the church in Edinburgh. 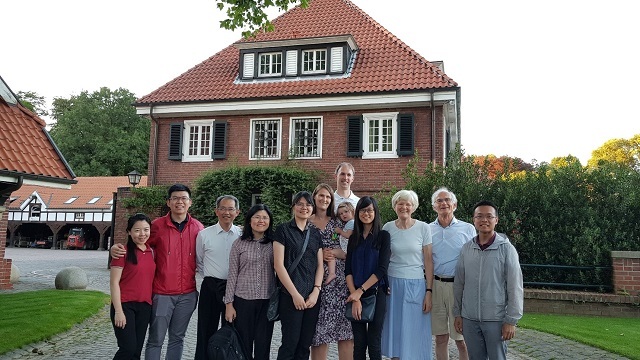 After arriving in Amsterdam and travelling up north through Hamburg, we had only a short time with the saints in these two respective localities, but our mutual presence has been very much encouraging. 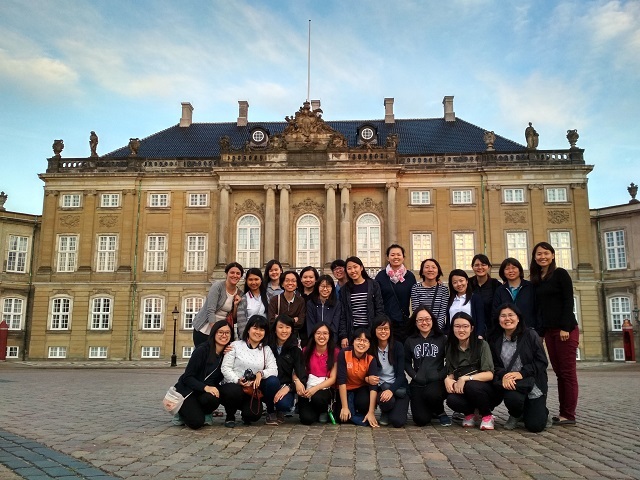 We had sweet fellowship over dinner and sightseeing with the saints in Copenhagen. 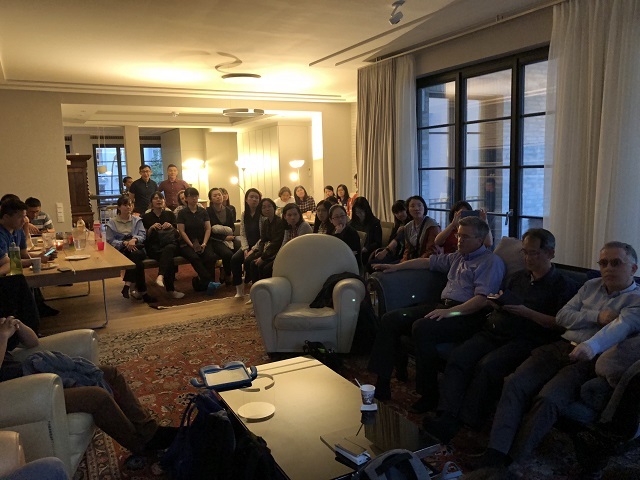 On the following evening, we also had a precious mutual fellowship session with the saints in Berlin. 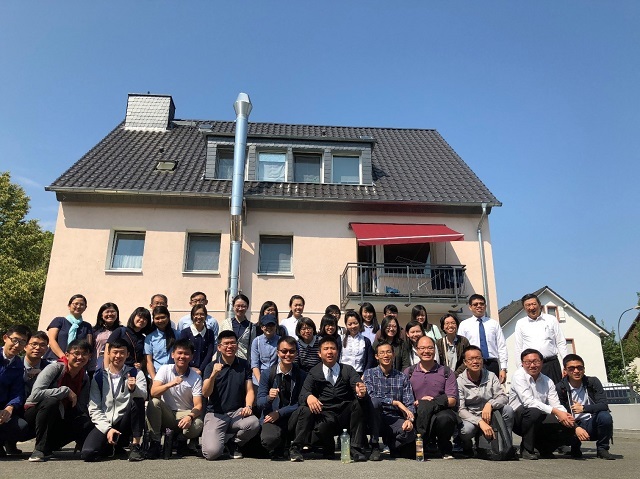 The brothers in Berlin mentioned how Germany is the geographical centre of Europe and shared with us concerning their labor to gain the campus students and the locals. 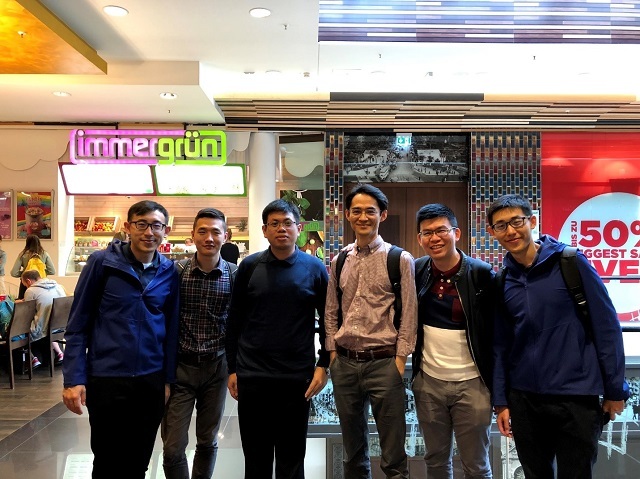 What was particularly touching in their fellowship was the strong flavour of the ministry and their faithfulness in following the ministry and the brothers ahead. The way of the vital groups presented by Brother Lee can be visibly seen here. These saints really enabled the Lord to gain many new ones, even local Germans, to be shepherded into the church life. With the full-timers cooperating with the families and saints, more and more new ones began to enter into the church life. There were also some saints who helped us concerning following the leading of the Lord and how to practically move to Europe. The brothers from Malaysia also shared on the training of young ones, the burden for Europe, and also the need for spiritual warfare. The session ended with genuine, touching prayers for the Lord’s interest and His move all over the earth. 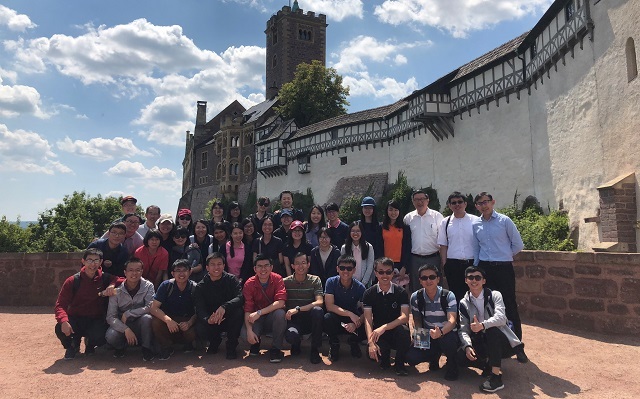 In the next few days, we passed by Wittenberg, Eisenach and Leipzig, and took some time to tour the historical sites related to Martin Luther and the Reformation, namely Lutherhaus and also Wartburg Castle. We saw how such a vessel was prepared and gained by the Lord to be useful in not only overthrowing the papal system, but also in producing the German Bible. With all these insights into Luther’s life and living, we too were inspired to be trained and equipped, to be useful to the Lord. In Frankfurt, we too saw patterns of migration. As we had some time to fellowship with the saints in Frankfurt, we realise that they migrated because they have a clear vision with a heavy burden for Europe. Such a burden was wrought into them during their period of joining the two years full-time training, and through the proper fellowship in the Body, they came over to work and serve. Their function became manifested there, as many of them were already perfected in language and in truth to a certain extent through the training. As they remained there, they became a blessing to the local saints. Over the time of fellowship, we were also helped to see that although migration is not without difficulty, one must truly be equipped, prepared, and learn not to look at the outward situation but simply look away unto Jesus and trust in His intrinsic working day by day. The Lord is also preparing the locals, the Germans, to receive the gospel. The saints shared that the people of Germany are now more open to the gospel than before. With the increasing number of German saints, there are also saints of other races and languages. The next morning, as we participated in the bread-breaking meeting together with the saints there of diverse ethnicity, background and language, we testify that the Body is just one. It was indeed touching to see the saints overcome all kinds of barriers to meet together, remembering the Lord as His church! After Frankfurt, we stayed a night in Cologne and visited the Cologne cathedral. A group of saints also went up to visit a family in Dusseldorf. Even though it was just a short visit, it was indeed a warm and timely cherishing of the family. Next, we split up into three groups to visit the saints in Netherlands, namely in Ter Aar, Utrecht and Spakenburg. We spent an evening with the saints, enjoying the love feast and then having a short time of fellowship and prayer. We saw the impact on the publication work of the ministry towards the people. People actually do come into the church life as a result of contacting the ministry. 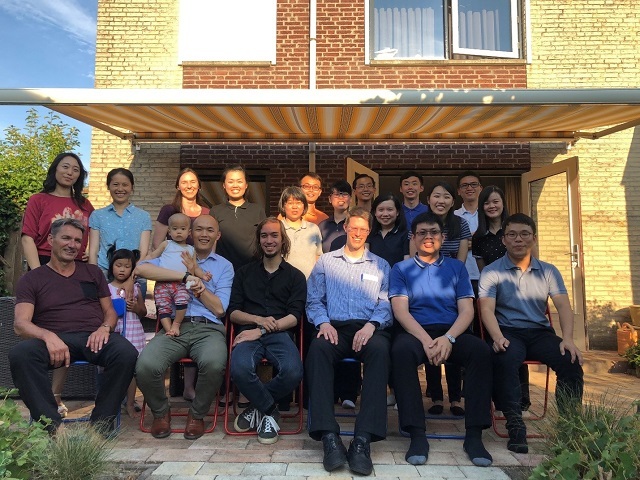 It was really encouraging and motivating to listen to the history of the saints, seeing this group of people as the Lord’s testimony standing firmly for the Lord in various localities in the Netherlands. The Lord’s work in Netherland doesn’t stop there. Certainly, we need a lot of prayers to echo what the Lord is doing in this country. It is notable that the Lord’s move in the Netherlands somehow began from the smaller cities, with major cities in Amsterdam and Rotterdam not having golden lampstands yet. 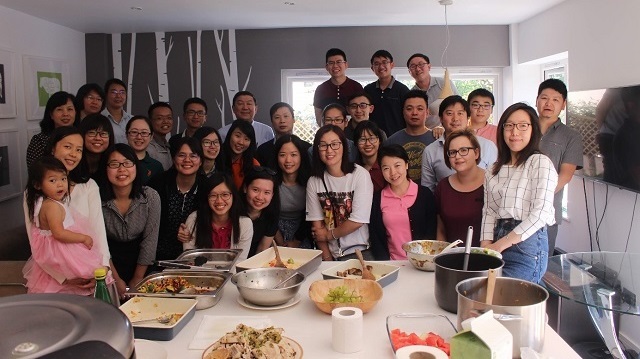 The church in Ter Aar has by now produced a number of young people who has joined the FTTL and returned to various localities in the Netherlands to serve. After the gaining of the first generations of Dutch saints since around the 1990s, the second generation is now rising up to bear the responsibility in the local churches there. It is indeed touching to see these ones leading the saints to dive into the ministry in the churches and to bring them forward. It is the second generation today that has to continue the commission of the Lord’s recovery unto the consummation of this age. Our trip in Greece began in Thessaloniki, where a lovely couple from America received us from the airport and accompanied us throughout the trip. In between, there were also a number of local and overseas saints who joined us for meals, all allowing much fellowship in the Body. Thessaloniki is the second largest city in Greece with a population of about 1.2 million people. In the past, it used to be a city of the Roman Empire, in the province of Macedonia, which was north of the province of Achaia. It was the next city the apostle Paul and his co-worker Silvanus visited after Philippi, after the Macedonian call he received on his second journey. The apostle Paul had stayed and worked in Thessaloniki for only a short time, probably less than a month. Of the places we visited were the postulated house of Jason and the Roman Agora. 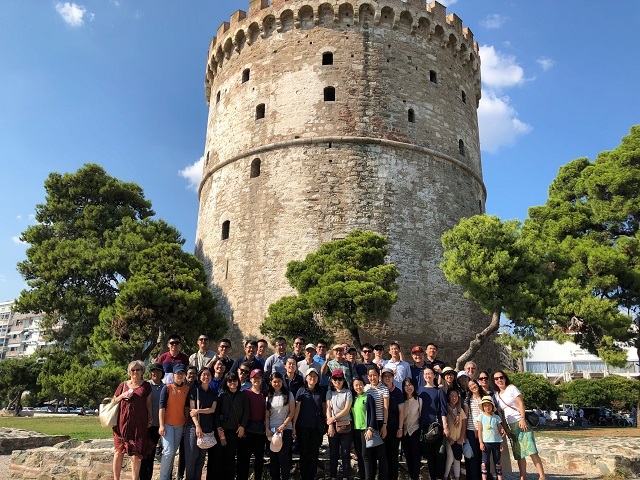 Through the sharings and testimonies of the saints who are serving in Thessaloniki, we realised that there was a lot of fellowship involved in the process of migration. Their migration was an issue of their constant fellowship with the Head and with the Body. Even after the saints migrated here, they are still constantly fellowshipping with the Lord and with one another. This itself showed us that fellowship is the way to keep ourselves open to the Lord’s leading and the balancing of the Body. We also visited Philippi which used to be the chief city in the province of Macedonia of the ancient Roman Empire. The archaeological site here was quite remarkable with old theatres, basilicas and remains of the Ancient Greek Road which Paul and his coworkers used to travel on. We also took short stops in Veria and Meteora before continuing on our way to Athens. All these stops caused us to realise how the Lord has prepared the world situation for the gospel to be spread during the apostle’s time. How much more has the world situation today afford us such an opportunity to participate in the Lord’s move! Today, we should seize every opportunity for the spreading of the gospel and the Lord’s recovery. Athens is the capital city of Greece, with a population of around 4 million people. It used to be the chief city of the province of Achaia during the time of the Roman Empire. As with Thessaloniki and its neighbouring cities, there were much historical landmarks in Athens. After receiving the vision of a Macedonian, Paul came to Philippi of Macedonia (Acts 16:9). Then, in Acts 17:1-7, Paul comes to Thessalonica; in verses 10 through 13, to Berea; and in verses 14 through 34, to Athens. We continued tracing Paul’s second journey down south to this city. We were very well guided and accompanied throughout our stay in Athens. 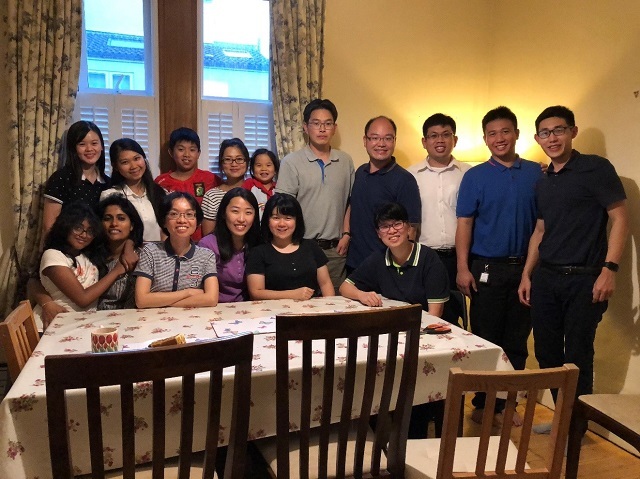 Much of our arrangements, including meal location and menus, were prepared by a couple who migrated here from Malaysia for the Lord’s move more than ten years ago. With the opportunity, they testified to us how they experienced the true and living God throughout the process of their migrating here, from their participation in the translation of ministry publications into Greek to how they finally got to extend their stay to remain in Greece. As were with the patterns throughout many stops in this trip, we were very much encouraged to live a life of faith, to trust in the Lord to take care of every aspect of our future as we give ourselves for His purpose. On the next few days, we visited Corinth, namely the Corinth canal and archeological site of Corinth. 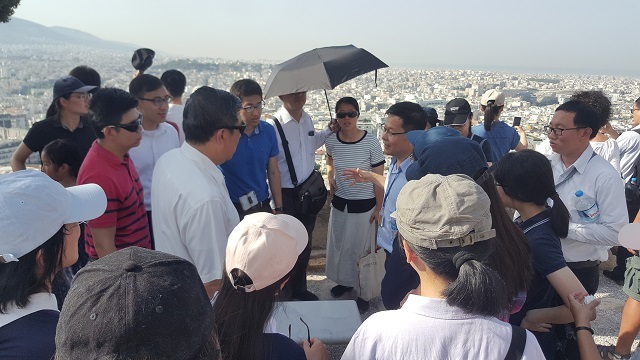 Then, we returned to the acropolis of Athens and went up to the Areopagus, the seat of the ancient and venerable Athenian Court, where Paul preached the famous gospel to the Athenians in Acts 17. Together with some Bible reading as a background, all these landmarks enabled us to very subjectively consider Paul’s environment, situation and condition. All the more, we were impressed by how the Lord preserved him and led him to carry out his ministry in the midst of all the opposition he faced. 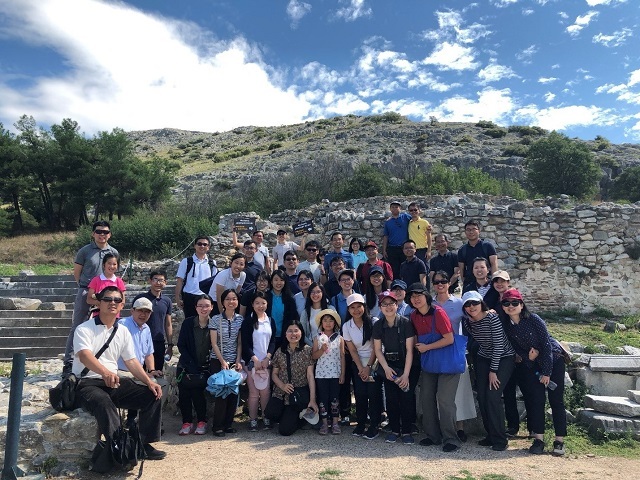 Group photo taken at the Areopagus, where Paul spoke Acts 17 to the people. Our last Lord’s Table Meeting in this trip was with the saints in Athens. The translation provided allowed all the saints of different race and languages to meet together in harmony and oneness. The prophesying session was enjoyable with saints from different countries sharing on living the genuine church life in the consciousness of the one new man. The fellowship turned us to be focused on Christ, who is all and in all in the new man. We had more fellowship over lunch with the saints, and are thankful that our last day was filled with the Word and the presence of the saints. The Lord, in faithfully bringing us through all the experiences we had in this trip, caused us to realise that for the advancement of His move, some have paid a price, even a heavy price. Many, many consecrated ones took the narrow path and followed the leading of the ministry, realising there is nothing more fulfilling than to please the Lord in following Him to accomplish His will. Their testimony was that of grains of wheat falling to the earth to die, of those with no self-preference, not loving the soul life even unto death. Many of these ones are before us at the forefront of the battle today. In the Body, what a privilege it is to observe, to learn and to advance with such patterns before us! We are all stirred up anew to care for the Lord’s move and His interest in a fresh and deeper way, especially for His move in Europe, and our portion in cooperating and coordinating with Him. Lord, revive Your work in Europe and even the whole earth. May Your will be done!